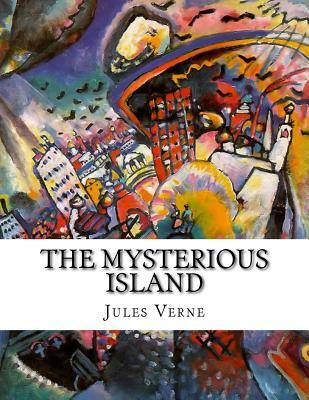 The Mysterious Island (French: L' le myst rieuse) is a novel by Jules Verne, published in 1874. The original edition, published by Hetzel, contains a number of illustrations by Jules F rat. The novel is a crossover sequel to Verne's famous Twenty Thousand Leagues Under the Sea and In Search of the Castaways, though its themes are vastly different from those books. The plot focuses on the adventures of five Americans on an uncharted island in the South Pacific. During the American Civil War, five northern prisoners of war decide to escape, during the siege of Richmond, Virginia, by hijacking a balloon.